Friday: Lunch at Ft Belvoir Golf followed by a tour of the Army Museum being constructed adjacent to Ft. Belvoir. Museum is scheduled to open in April 2019. LTG Schulz*along with some of his staff provided information on the Museum and its primary intent to emphasize the role of the soldier rather than equipment. Saturday: Self determined tours of the greater DC area ending up at the US Capitol for a guided tour. The memorial banquet was held at Ft Myer. Food and service was excellent. LTG Schulz was our guest speaker who once again emphasized the importance of the individual solder. Excellent speaker and topic. A short memorial service was conducted along with the reading of the names of those who are now deceased. The White House had to be cancelled because it was scheduled for 7:30 AM. The early hour along with transportation difficulties at that hour led to the cancellation. Sunday: Memorial Service at the Vietnam Wall. John Reynold put together photos and a short bio on each of our comrades who were KIA. John also located all the names on the Wall so that each of us could take a moment. The photo board along with the bio was left at the Wall to be picked up and placed in a museum with other Vietnam associated memorials left by others. General comments: Transportation was a bit difficult for some due to parking limitations in the DC area. However, weather was great for walking and everyone was able to participate in all the events. Chuck Shepherd offered to host the next reunion in Lakeland, FL in conjunction with a large airshow that occurs there in April. All present were enthused with this offer. *LTG Schulz, who thanks to John Reynolds, was our Army Museum tour guide and guest speaker. He is one of the finest and most thoughtful general that most of us have met. 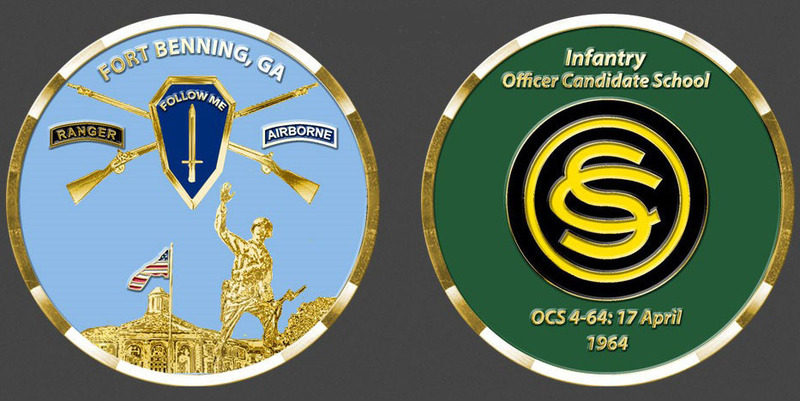 Reynold and Farr suggest that OCS4-64 contribute to the Army Museum as a unique band of men by buying a block that will be prominently displayed at the museum. All contributions to the Museum are tax deductible. Individual gifts would be non-attributable and amounts known to only Reynolds or Farr who are both willing to act as collectors of the monetary gifts. All OCS4-64 would be encouraged but not required to contribute. Please go to the following for more information on contributions. https://armyhistory.org/bricks $500 would buy a very nice brick.